Kwik Kopy Halifax is made up of a talented core group of people doing some of the best work in Halifax. 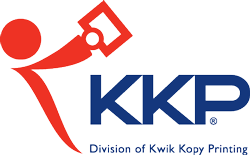 With responsibilities ranging from design work to printing to sales and marketing, Kwik Kopy Halifax employees enjoy rewarding careers. If these are qualities you possess, we're sure you'll find a rewarding career with us.